Attention grabbing printed desk pads! When it comes to business branded products, the bigger your logo is, the better. And, if you want an item that will provide repeat exposure and plenty of space for your logo, look no further than desk pads! Desk pads are exceptional giveaways. They can immensely increase your brand visibility and exposure. Not to mention that they also offer repeat exposure. Desk pads aren't an item that people will chuck after one use. They'll most likely keep them, and use continuously, thus prolonging your brand exposure. Here's the thing. 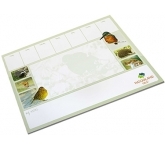 Desk pads offer more space for printing and are generally larger than other promotional items. Sure, you might think that promotional pens are more cost-effective, but think of the return on investment you can expect with desk pads. People lose pens easily. Moreover, they often have trouble finding one when they need it, even though they were probably given a dozen in the past six months. But can you say the same for desk pads? Of course not. Desk pads are useful items. In fact, most people who work out of an office have at least one. Furthermore, you want your brand to be associated with usefulness and practicality. When people think that you care enough to consider what they need and include it into your marketing campaign, they are more inclined to do business with you. And when you think about it, isn't that the greatest marketing strategy? Getting other people to promote your brand instead of you? This strategy is effective in more ways than one. Firstly, if you don't count the initial investment, it doesn't cost you anything. Secondly, and more importantly, people are more likely to believe what others tell them if they think it's genuine rather than paid for. It's only logical that people will believe an honest recommendation. Just think about the exposure your brand would get from that kind of promotion. You really can't achieve the same thing with other means of advertising and promotion. Desk pads are a godsend, at least for the marketing department. They are big enough to catch the attention of passers-by and useful enough that people will gladly accept them as promotional gifts. 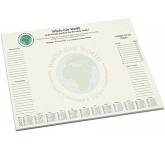 Your potential and current customers will appreciate the desk pads you give them. Furthermore, no matter if you're a veteran in the business, or are just opening up a new market for your brand, desk pads will enhance and refine your marketing strategy. Before you know it, they will prove to be invaluable elements in your marketing strategy. We offer a variety of printing options on our vast range of promotional desk pads including the very latest in UltraHD print technology allowing us to reproduce full colour images, graphics and logos to a standard most suppliers can only dream of. 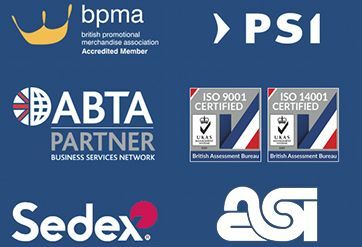 So, if you are looking for low cost, budget, value or cheap promotional printed desk pads, and happen to find the same branded desk pads cheaper, with the same print specification and turnaround, just let us know and we will match the price and back it with our industry Award Winning Customer Service - that's our guarantee! 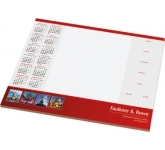 For additional information on our branded desk pads, or how to use promotional products for a better brand experience, why not contact us and have a chat to one of our dedicated account managers who will be happy to advise you further.